2009 Couly-Dutheil Chinon La Baronnie Madeleine: Retail $35. A bit dark in the glass with some dark berry fruit and a bit of heat (13.5%) on the nose. On the palate this is just short of a whoa. A bit of cassis up front followed by some earth and an admirable finish. Needs a bit more time perhaps. Outstanding. 90-92 Points. 2012 Couly-Dutheil Chinon Rosé Domaine René Couly: Retail $25. What a day. My wife left for a business trip in the morning, which meant that I had both boys for a Sunday full of Little League. How did it go? Well, between the two of them, they got up to bat five times today. Five strike-outs. Both teams lost, and I got a nasty sunburn. The entire day was wasted down at the ball field, except for the hour that they whined about lunch and the additional hour of whining about having to take a shower. After all the whining, I decided to do some wining. So I grabbed this, one of my favorite rosés. Unlike what most people believe, well-made rosés can age gracefully, and despite this being a saignée (where some of the juice is bled off the normal cuvée to make a rosé–and further enhance the red, which means that the resulting rosé might be overly ripe and lacking the requisite acidity), it is just that–still graceful, despite the synthetic cork. Strawberry, rhubarb, and plum with vibrant acidity and weight. Yeah, there are no bubbles, but this was the perfect antidote to a really long day. Apologies to my wife for not saving her any (but not really). Outstanding. 90-92 Points. NV Alfred Gratien Champagne Brut: Retail $45. Better than what I predicted, but I should have known. Gratien is one of the few Champagne producers that still uses oak to vinify (at least some) of the base wines. 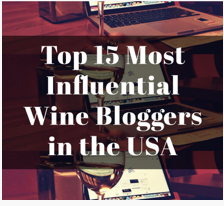 You might have heard of some of the others: Selosse, Bollinger, and, um, Krug. Yeah, Krug. But this was the basic non-vintage and despite my best efforts (15 minutes on Google), I was not able to discover how much of this wine sees an oak barrel. Nonetheless, this was actually a delight. Nutty and fruity with lemon and lime notes, with just a hint of that oaky-oxidation thing going on. But this is one of the reasons why I love champagne–this is no where near the apex of the champagnes I have tasted, but this is fantastic. Would buy more without hesitation. Outstanding. 90-92 Points. 1985 Inglenook Reunion: Retail ???. 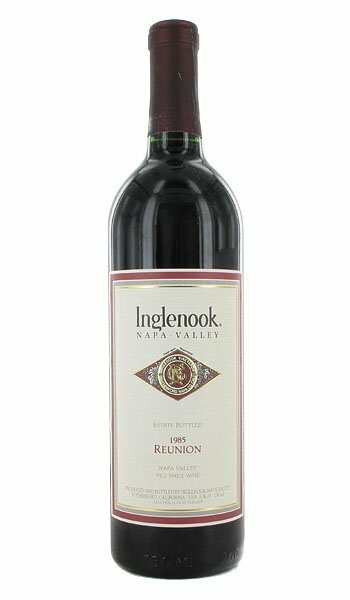 A tiny bit of Napa history in a bottle–Inglenook had been widely considered the best wine in Napa from Prohibition to the mid-1960’s when the winery was sold and then started producing jug wine, at which point overall quality suffered across the board. There was a bit of a revival in the mid-80’s with a return to better winemaking–and this wine certainly shows it. Whoa. On the nose, I have to say that this was not all that appealing–it was a bit acrid and certainly gamey. On the palate? Whoa. A different ballgame. The fruit was at best “present” and at worst “reserved” but this was close to ethereal–a 30-year-old wine that was Outstanding alone, but likely even better with food. 92-94 Points. 2006 Spelletich Cellars Syrah Reserve: Retail $25. Way less enamored with this wine this time around. OK, I was not all that enamored the first, second, or third time around, but this was the first time that I noticed the plastic cork (#ImNotThatBright). Had I known that the producers did not like this wines age-worthiness (since they put in the plastic cork), I likely would have had this sooner. This can best be described as a “fruity mess” with over-extracted fruit and heat on the nose. Much the same on the palate, but there is a bit of acidity, which tries its best to balance it out, but falls well short. Meh. Good (at best). 83-85 Points. WINE OF THE WEEK: I have been trying to go through a bunch of samples these last few weeks, so the forays into our own cellar have been limited. This week, though, I was able to grab a few good ones (and one not so good) highlighted first by a pair from Couly-Dutheuil in Chilnon. The winery, which I visited again last fall (post coming shortly, I hope), seems to have weathered its rough patch and is once again producing top-notch Chinon. Both the Madeleine and Rosé were fabulous. I bought the Gratien a few weeks ago, almost as an afterthought, and will likely be getting more in the near future–really an outstanding wine for the money. The Wine of the Week, though, had to be the ’85 Reunion even if it turned out to be rather average as the previous two bottles of this had been. For some reason, this bottle was far more expressive and deep the bottles I had a few years ago. It was also fun to reminisce about 1985 when we were watching Back to the Future, not drinking New Coke, and singing We are the World. I spend most of my time trying to forget the 1980’s, but it was fun to go back there (briefly) over a bottle of wine. What was your Wine (or Drink) of the Week? This entry was posted in Bordeaux, Cabernet Franc, Cabernet Sauvignon, Champagne, Rosé, Syrah, Wine and tagged Argyle Pinot Noir, Argyle Pinot Noir Nuthouse, berry fruit, California wine, cellar tracker, Chardonnay, Pinot Noir, Skewis Pinot Noir Anderson. Bookmark the permalink. My mom left me half a bottle of something in the refrigerator. It was white. It was tasty. It was free. I failed to pay attention to what it was, but it was definitely worth the price. “Half bottle of something” you must be in marketing…. My services come cheaply on this front. Lucky you! I have only had Cristal once, and it was many years ago…. The joys of living in wine tax free HK – which makes things comparatively cheaper! In Pennsylvania, one of the many alcohol taxes we pay is the 18% “Johnstown Flood Tax.” It was meant as emergency funds to survivors of the flood in Johnstown.